The 2014 Hacienda Tres Rios Sprint – Junior Triathlon will take place on May 18, and for the first time ever, in addition to the adult races, we are offering a children’s event. Read on to learn more about this year’s triathlon and its categories. 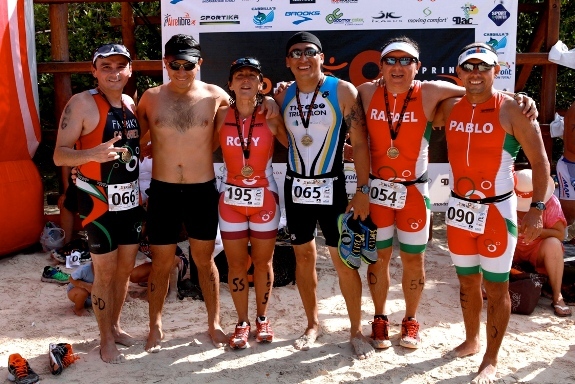 The category known as Sprint, which is the one that will be used in the 4th Hacienda Tres Rios triathlon, consists of 750 meters of swimming, 20 kilometers of cycling and a 5 kilometer running race, and is the ideal category for beginner triathletes or those who want to improve their times over shorter distances. Distances for the children’s category, known as Ironkid, or children’s triathlon, are half the Sprint distance, and even less for children 6 to 14 years of age. Find out all you need to know about 2014 Hacienda Tres Rios Sprint – Junior Triathlon here. hay alguna otra manera de inscribirse que no sea a traves de la pagina de asdeporte?? Lo sentimos pero no, es la unica forma.